And then there's this thing. Like I say, it's not a photo. It's more like a model. Telescopes — the kind we point at deep space — don't collect images, they collect information. This is a digital rendering made based on information collected when researchers pointed four different telescopes at a galaxy called (poetically) galaxy M87. What you're looking at is a series of simulations, over time, showing massive ribbons of gas undulating and spinning around the something at the galaxy's center. If the theoretical astrophysics is right, this is the closest we've ever gotten to seeing a black hole. Physicist and writer Matthew Francis has a really good explanation of these new images on his blog, Galileo's Pendulum. New observations from the Event Horizon Telescope (actually an array of four millimeter-wave telescopes working in concert) have revealed the best view so far of the supermassive black hole in the galaxy M87. As described in a Science paper, astronomers measured the motion of gas to a distance approximately 5.5 times the event horizon radius. That is close enough to confirm the gas circles in the same direction the black hole itself rotates. These observations help clarify the origin of the powerful jet of gas streaming from the galaxy’s center at a high fraction of the speed of light: it is likely driven by the swirling matter near the black hole’s boundary. This is a hard piece to excerpt from, because you really need to read the full thing if you actually want to understand how we think black holes work, and what that tells us about the data collected by those joined-up telescopes. 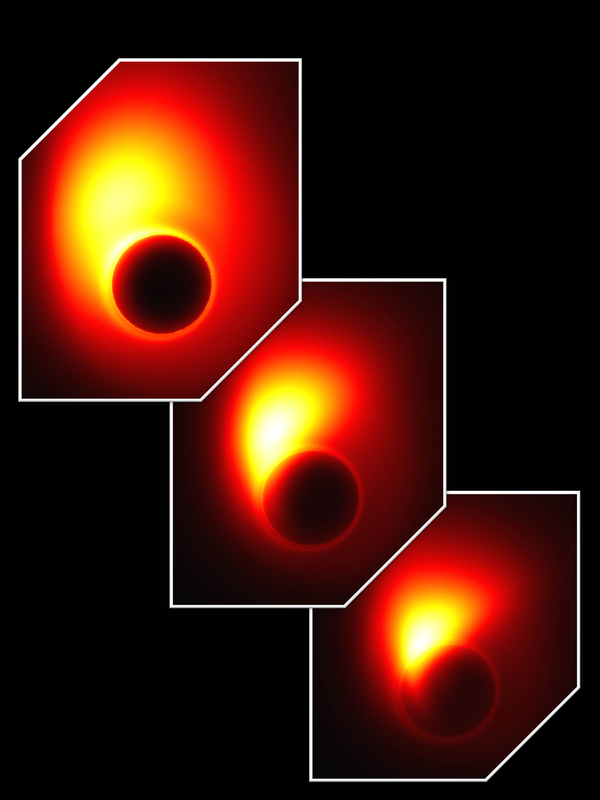 I recommend reading both Francis' earlier piece explaining some black hole basics, and this new story about the specific paper that published these images and the data they're based on. But, suffice to say, this is pretty awesome. It's as if we've never been able to observe Niagara Falls and, for the first time, saw the spray of water rising in the air around it. Or, rather, we collected data on the movement of water particles in the air near where we think a theoretical Niagara Falls is and then somebody drew a picture of the particles. It's a little more esoteric than just taking a photo, but it's still worth geeking out over.